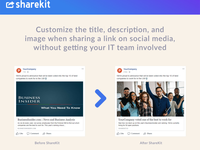 ShareKit is used by social media managers working at everything from SMEs to large enterprises. 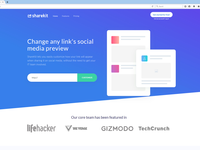 Freelancers use ShareKit to keep their clients' social media pages looking beautiful. 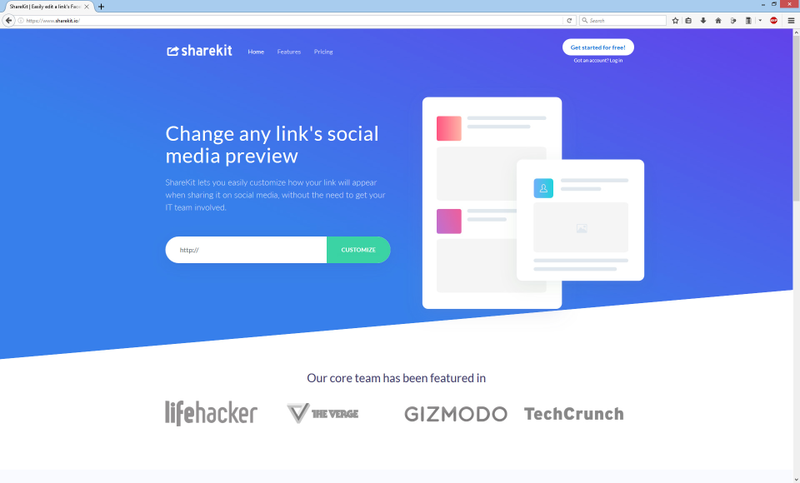 ShareKit brings back the ability to edit link previews on Facebook - simply upload your image and enter a title and description, and ShareKit will generate a new link that can then be posted to Facebook with a beautiful preview. You can edit the preview info later on, and even create multiple ShareKit links for the same URL to A/B-test different previews. Our agency-plan allows you to use your own domain. 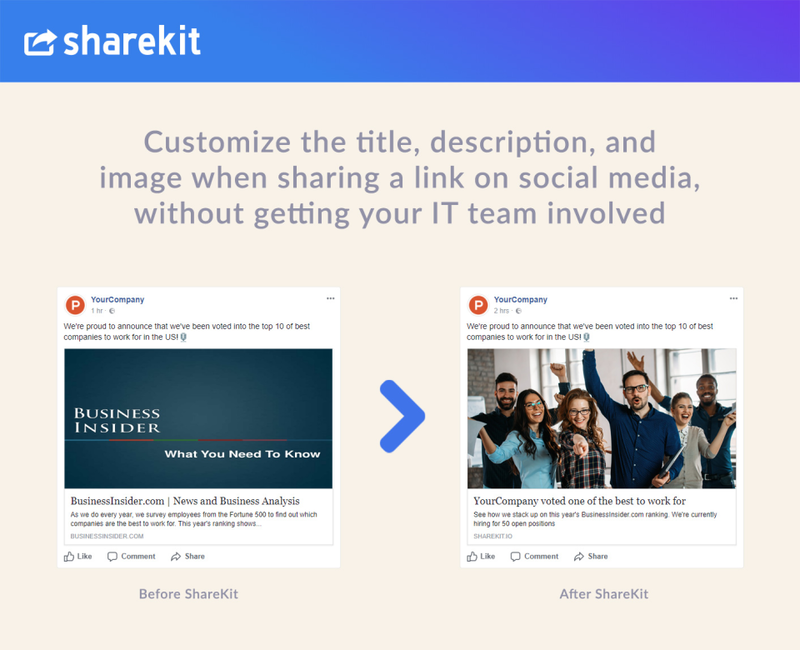 ShareKit works with Facebook, Twitter, and LinkedIn. Cons: After using this software for 3 weeks I can't say anything bad about it. It does what it says when you sign up and I have only seen positive results. Overall: ShareKit has allowed me to increase my CTR on LinkedIn by over 300% and it's saved the frustration between having the same link preview constantly on my timeline vs uploading an image with my post and people being confused my they can't click through to the link and giving up on my page. I also had a problem with billing and customer rep. personally helped me out with the issue and was very understanding. His quick replies and excellent advice got me quickly up and running again and I didn't have to deal with broken links in the meantime! Ever since Facebook disabled editing link previews, we've been looking for a solution - this is it! 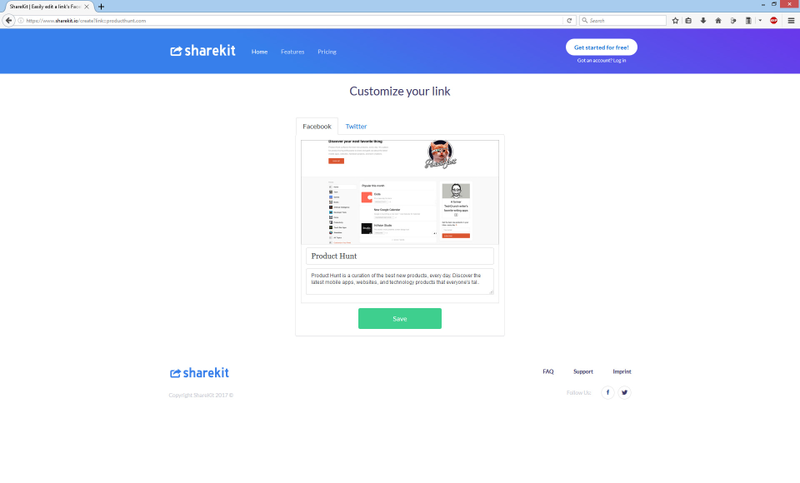 Pros: You just paste the link you want to share, and can then enter your own title, description, and upload an image, which will then appear in the link preview when sharing the ShareKit-link on Facebook. Super easy and convenient. Cons: You need to upgrade to a more expensive plan if you want to use your own domain when sharing link, which in my opinion is one of the best features of ShareKit.